We have had a very successful beta release and received a lot of positive feedback. We would like to thank everyone for your contribution which helped us make the product better than ever. All Github repositories for our SDKs will be updated where the current “4.0” branches will become “master”. 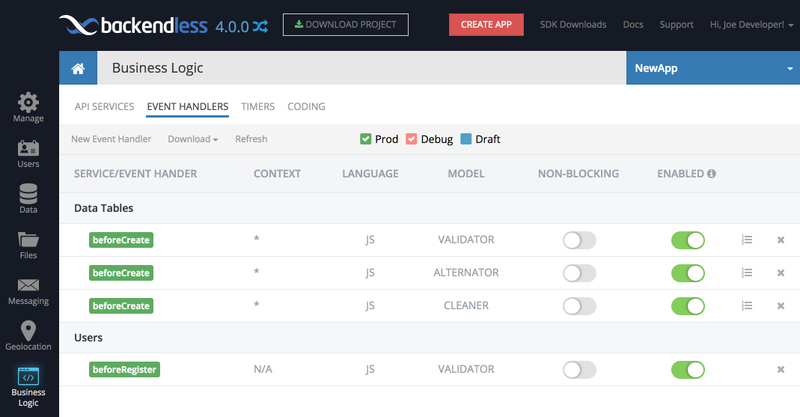 Both JS SDK and JS CodeRunner for version 4.0 will be released into NPM. Plan limits and billing will be turned on for Backendless 4. Any new app created in 4.0 after it goes GA will be on a 14 days trial for the Cloud99 plan, after that, it will switch to the free plan. All existing apps in 4.0 will also be switched to the Cloud99 trial. Once it runs out (14 days), the app will go to the free plan and you will need to assess if it should be upgraded to a paid plan. If the app’s usage of the backend resources exceeds the limits of the free plan, you will receive an email notification. We will continue running the 3.x backend. If you have an app on the free plan in 3.x you would either need to migrate to 4.0 before November 1st, 2017 or switch it to a paid plan in 3.x. If you have any questions, please contact us on the support forum or the Slack channel. This is a HUGE improvement. It promotes better design for cloud code with a clean division of responsibilities between the event handlers. It is important to note that any data received as arguments for an API call is passed from one event handler to another. If an event handler sitting at the beginning of the chain makes a change to an argument (or the return value), then all other event handlers down the chain will get the modified value. We’ll have a video posted to our YouTube channel with a demo of the functionality soon. That’s all for now, guys. Happy coding! We are preparing one of the final Beta builds for Backendless 4. The build should be released early in the week of June 19th. We plan to release the service out of beta shortly after that. One of the important changes in the upcoming service update will be the introduction of deployment models. 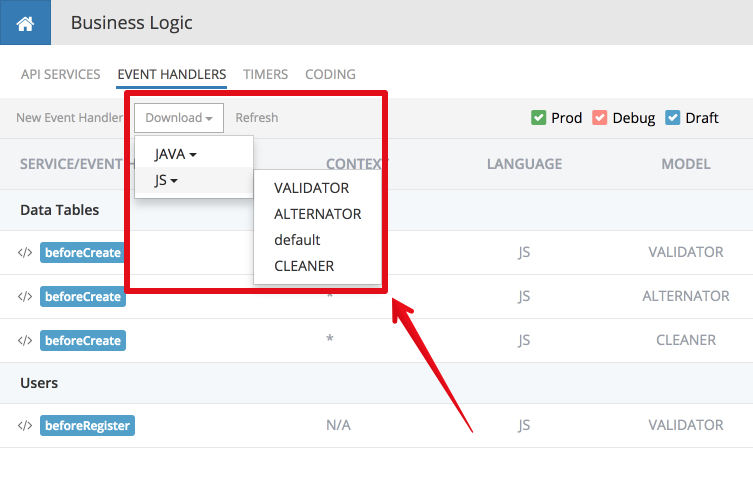 When the service is updated with that build, it will be necessary to redeploy your business logic (API Services, Event Handlers, and Timers) using the latest release of CodeRunner. If you do not do that, any existing business logic in the Backendless 4 apps will stop working. We realize it is going to cause an inconvenience – we really wanted to avoid it. However, the service is in beta and we thought you’d cut us some slack. If you have any questions about this, please ask either on the support forum or our slack channel. 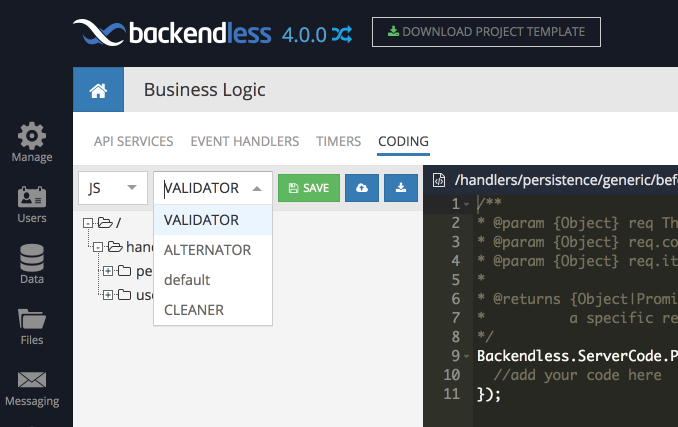 One of the new features we will be releasing in the final update of Backendless 4 beta is support for “business logic deployment models”. This is a new concept introduced in Backendless 4. 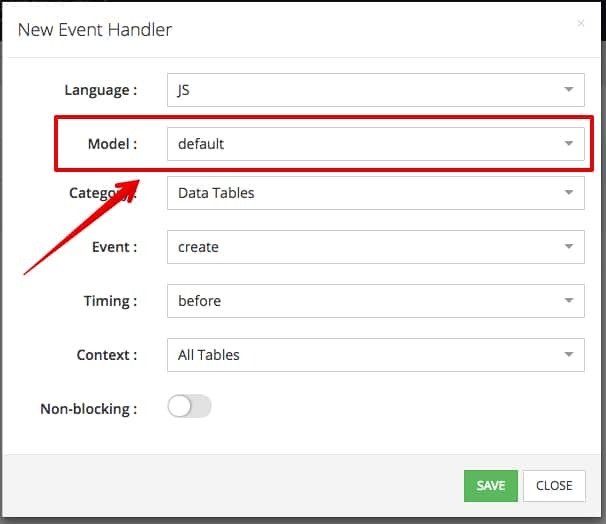 A “deployment model” combines individual API event handlers, timers and API services into a single group. The purpose of that grouping will become more apparent once we start opening up Backendless Marketplace for submissions, however, the introduction of this feature already opens some very cool features. This change will be available in the Backendless 4 applications the week of June 19th. Models are associated with languages. It means a model with the same name may exist with Java business logic and JS business logic, but it is not the same model – they will contain different business logic. Contrary to what’s stated above, you can have the same kind of an API event handler in different models. When downloading code from the Backendless Console, you must identify the language and then the model for which to download the code. When deploying code using CodeRunner (JS or Java), the deployment model name for the code must be specified either in the CodeRunner’s configuration file or from the command line. Deploying code into a model deletes all previously deployed code in the same model. When the code is debugged locally (while being plugged into the Cloud servers), it takes precedence over the same code which may have been previously deployed. In other words, the Debug mode has higher precedence than the Production mode. For most use-cases, you will find it sufficient to work with the same model. We considered how developers use business logic now and tried to make the developer experience mostly unchanged.